There is nothing more frustrating than taking time to lovingly bake a batch of sugar cut out cookies only to have them puff up or loose their shape (or puff up AND loose their shape). Has that ever happened to you? It’s the worst!! 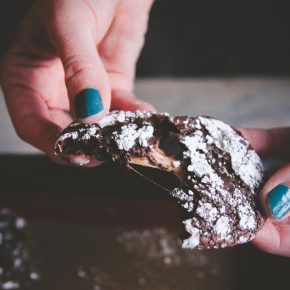 What you want is a consistent cookie that is easy to make and turns out every time (and one that is delicious!) 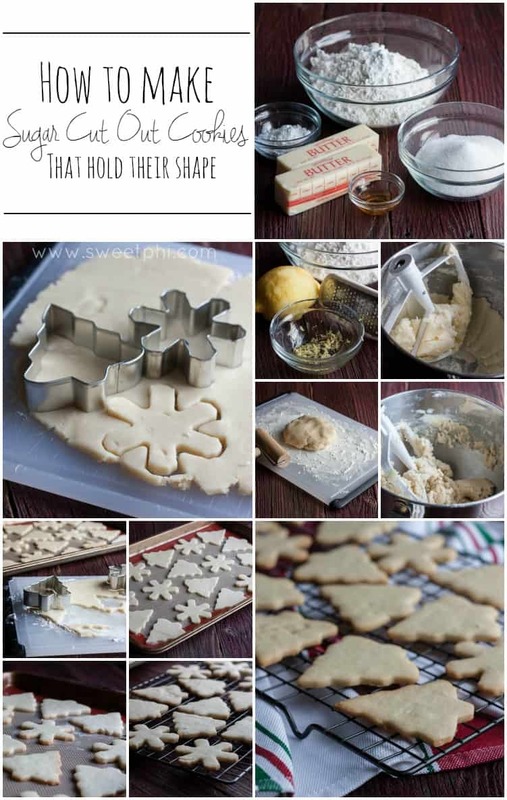 Which is exactly what these cookies are: they hold their shape and turn out perfectly every time and are a delicious cookie in-and-of-themselves! And while I was originally going to call these the ‘best ever sugar cut out cookies’ I realize that everyone probably has their very own favorite recipe (in food blogger circles it’s like saying you have the best recipe for chocolate chip cookies…even if you do, there’s always someone that thinks their recipe is better and will probably make fun of you behind your back 😉 and i most certainly don’t want that lol). Christmas cookie baking was always part of the holidays when I was growing up. We’d gather around and make what seemed like a bazillion cookies. Frosting isn’t really big in European cookie baking (ok, i could be wrong, but I can honestly say that I do not remember making frosting for sugar cut out cookies – other than chocolate of course, dipping your cookies in melted chocolate doesn’t count, right?) but what is big is adding a bit of lemon zest. It perks the flavor of the cookies right up! 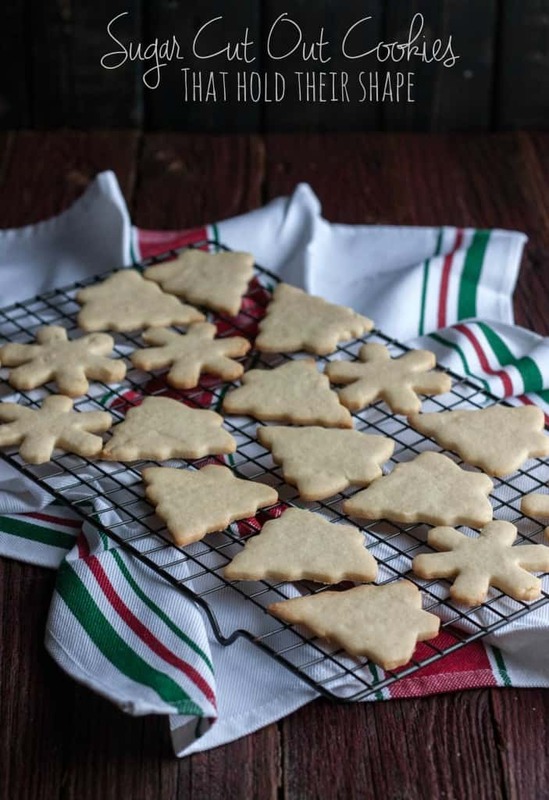 Besides the lemon zest, this recipe is a pretty straight forward sugar cut out cookie recipe. It holds its shape, and one major trick is that after you make your dough, you’ll roll it out, cut out your cookie shapes, and then put them on a lined baking sheet and only then PUT THEM IN THE FREEZER for 10 minutes, then straight into the oven after. No cooling and then rolling. You roll, cut, and then cool! That is the trick will leave you with perfectly baked sugar cookies cookies with a slightly golden brown color. They’re good by themselves or can be frosting. I’ve shared mini gingerbread houses made out of graham crackers with a gingerbread house glue that dries in under 10 minutes -I’m so excited for the holidays, how about you? In the bowl of stand mixer add the butter sticks and the sugar and "cream together" (cream together refers to the process of vigorously mixing/beating the butter and sugar together so that they incorporate very well, there is no cream added) about 3 minutes, then scrape down the sides of the bowl and add the egg, lemon zest, baking powder and vanilla extract, then beat again for 2 minutes until a creamy yellow color. Next add 3 cups flour and 1/2 tsp salt and mix on low speed to combine (about 2 minutes). Cookie dough will be almost crumbly, but that's ok, press it together with your hands and form it into two balls. If it doesn't come together with your hands add in a teaspoon of water and then try pressing it together. 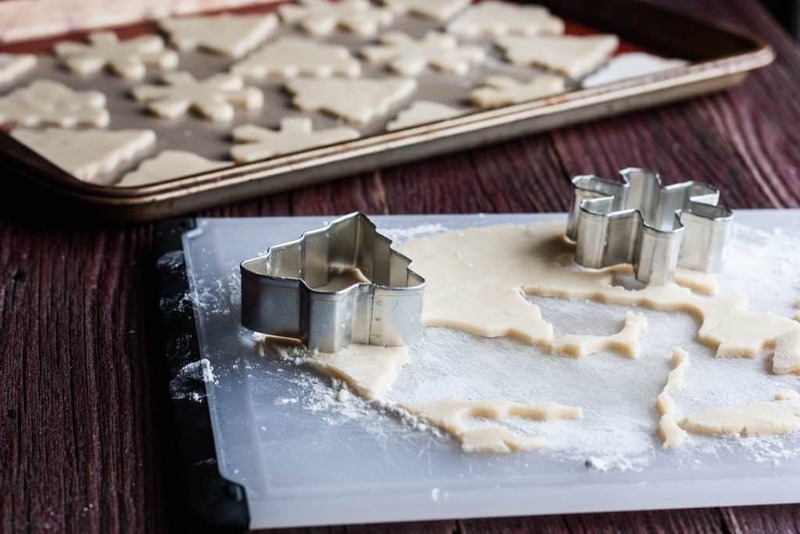 On a floured surface or board roll out one of the cookie dough balls to desired thickness level (they won't rise much) then cut out shapes and place on a parchment paper or silicone baking mat lined baking sheet. 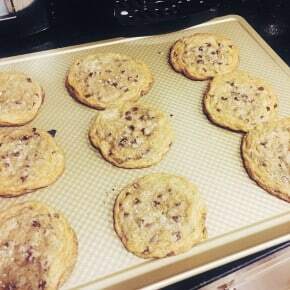 Put baking sheet in the freezer for 10 minutes. 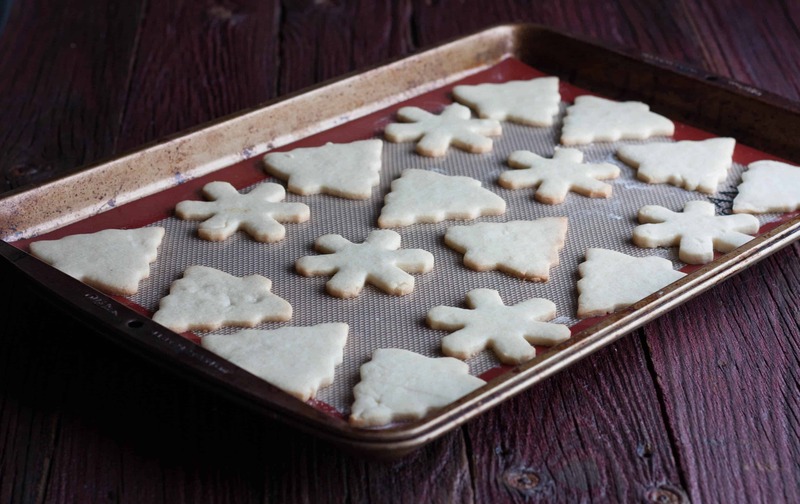 Remove cookies from oven, allow to cool for a few minutes, then transfer them to a wire cooling wrack for them to cool completely before frosting, or enjoy without frosting! These sugar cookies are a more European sugar cookie,the're subtly sweet, but the cookie itself is not overly sweet. The cookies are perfect for a sweet frosting. If you like a sweeter cookie, add a little extra sugar. If the dough is too crumbly add a teaspoon of water, and if still too crumbly add another teaspoon and knead it. I made these for a Christmas Party. They turned out awesome but definitely made more like 30ish because a few were fat as I didn’t realize they’d get a little wider. I just want to say thank you for taking the time to make this recipe and share it! I’m not a baker so I followed the recipe precisely. Aw, thank you so much for the wonderful feedback, I’m so glad you enjoyed these! Hi! may I know how long these cookies will last after baking? I’m trying to prepare for a party in about 3 days so wondering if they might go stale by then? Thanks, otherwise these cookies turned out superb on my test bake! Made these with my 2 1/2 year old and they were the BEST! I did leave out the lemon zest and subbed in almond extract. Making another batch this weekend. *Pro Tip that I learned on Instagram use chopsticks on each side of your rolling pin to get even thickness! Thank you so much for sharing your wonderful feedback, I love the substitutions you made, I bet the cookies were awesome with almond extract!! I need to know more about this Pro Tip…where do you put the chopsticks, how does that work?! If you’d like to use almond extract, since it’s very powerful in flavor, I would suggest 1/4-1/2 of a teaspoon. Hi there, these cookies are definitely on the less-sweet side as the post says, they’re a European cookie (which tend to be less sweet). Usually these cookies are served frosted, and that definitely adds the perfect sweetness. So glad your 2 year old liked them. Thank you for this recipe! I bought store bought cookies, not thinking about it and cut into shapes only to find out they turned into blobs. I googled and came across your recipe. Easy to make and they turned out great! I left out the lemon (not a fan of lemon) they are tasty on their own or with some frosting for decorating. I just made these and although they did hold their shape, they were dry, crumbly and did not taste good. Really disappointed, I will not make these again. Oh my goodness, it definitely sounds like something went wrong. 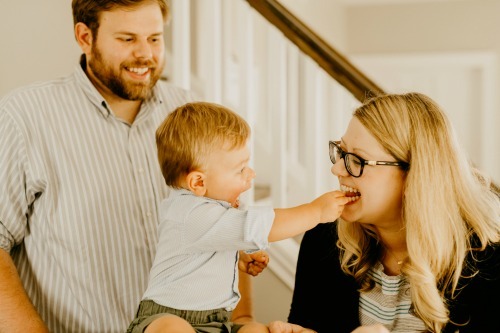 They should not have turned out dry or crumbly – and although the taste is not cloyingly sweet, it is a very good sugar cookie, so I’m so sorry to hear you did not have a good experience with the recipe. I don’t have a stand mixer. 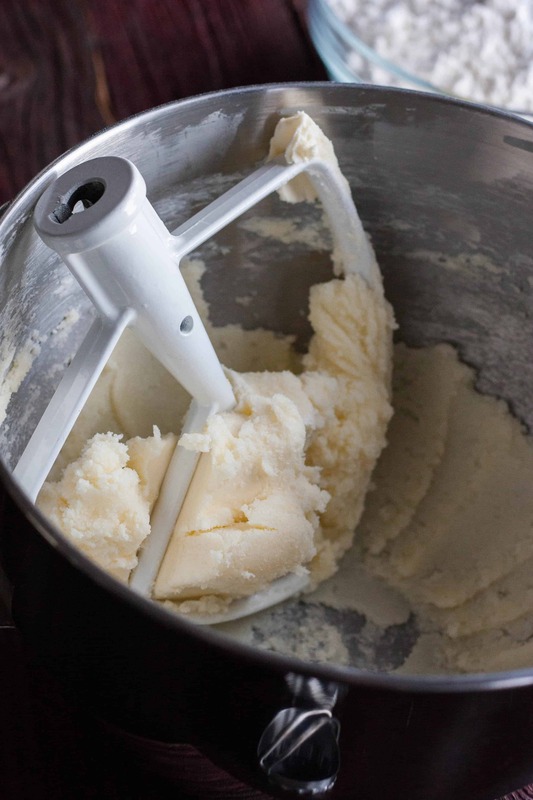 Can I use a hand mixer? Hi, this recipe worked very well for me. Thank you so much. I would like to check how do I make this variation using the same base recipe and if you could advise please? Double Chocolate cookie with chocolate chips and raisins? Thank you in advance! So glad you liked the recipe. I don’t think your variations would work with this as the cookie base because this is more of a hard cookie. 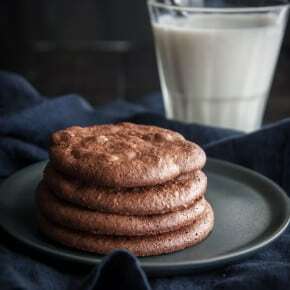 You might try those adaptations with another one of my recipes: https://sweetphi.com/triple-chocolate-oreo-cookies/ hope that helps! This recipe was the most exciting to come across! I cannot tell you how many “tricks” I have tried trying to get my sugar cookies to hold their shape. My Nana used to have a recipe that tasted identical to these that she called “Tea Cookies” so that brought back sweet memories. My question is this. I have tried just as many recipes for royal icing as I did throughout the years for the perfect sugar cookie. Every one seems to run over the edge of the cookie. Just once, I’d love to be able for them to look as beautiful as the ones I constantly pin on Pinterest. Any hits or tips on making a royal icing that will outline the cookie and won’t run off the edges before I flood it? I did decorate some with cookie icing that turned out beautifully but really want to master that smooth glossy royal icing look. Thanks so much!! Love this recipe! 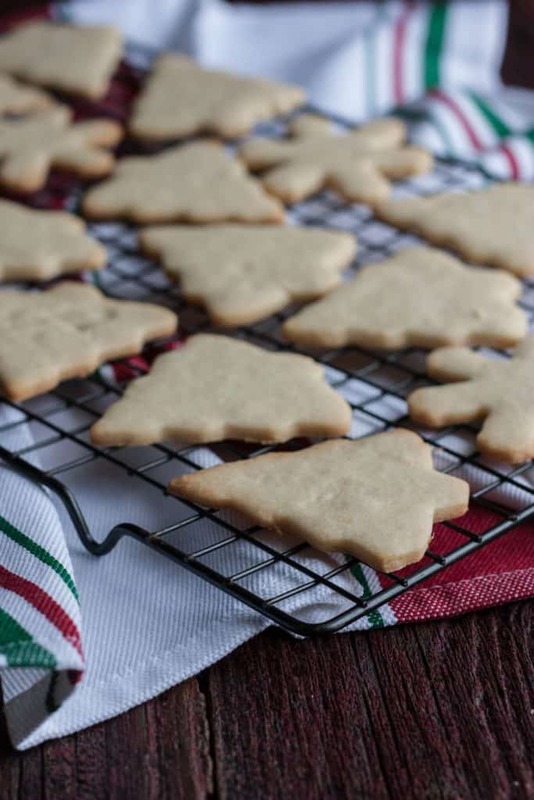 Have tried variations for years on my sugar cookies to get them to hold their shape, including refrigerating the cut cookies before baking, but none of them did the trick. Tried googling “Hold their shape sugar cookies” and your recipe popped up. I loved the addition of the lemon zest and also the fact that the cookie is not super sweet, since I make buttercream icing to decorate them. Baking them for 10-11 minutes until the bottoms barely started to brown resulted in a softer chewy cookie. One variation I did was rather than putting the cut cookies in the freezer for 10 minutes, I left them in the fridge overnight. I stored them on a small cookie sheet between sheets of parchment paper and put the whole thing in a large ziploc bag so they wouldn’t dry out, as I didn’t want to bake them until the next day. It worked great. 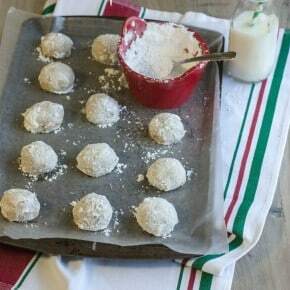 Thanks again for posting this recipe – I will be using it whenever I make cut out cookies! So happy to hear this Karen, thank you for your comment and letting me know your modifications!